Home | News | Vote for Porcelanosa’s Seedwood Collection in Interior Design’s Best Of Year Awards! Vote for Porcelanosa’s Seedwood Collection in Interior Design’s Best Of Year Awards! Porcelanosa’s Seedwood Collection is currently running in Interior Design’s Best of Year Awards. The collection pays tribute to the sophisticated craftsmen that work with their hands to create everlasting pieces of art. 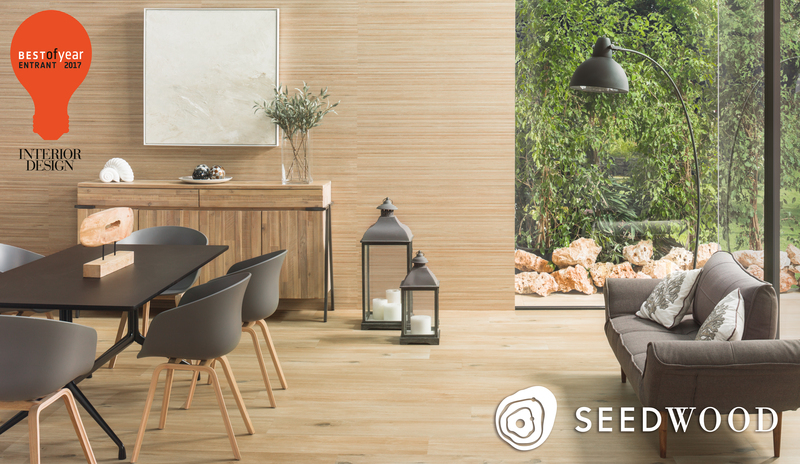 Seedwood evokes beauty, quality, and resistance – all known qualities of hardwood – into a high-end and luxurious wood-look porcelain tile collection. Make sure to cast your vote for the Seedwood Collection by clicking on the link below! Voting will close at 11:59PM on Monday, October 16th.